I’m not sure exactly where this logging camp was located, or what logging company it belonged to, except that is was at the base of Mt. Rainier. What I think is amazing about this shot though is the scope of the logging. 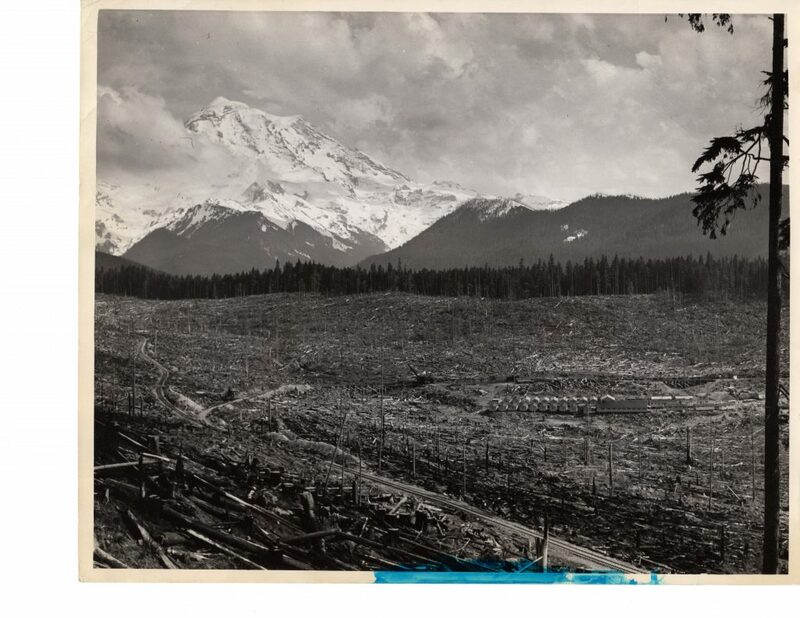 Take a look at that logging camp in the center of it all, the railroad that took the logs out and the trestle. Just zoom in and take a look. Photos courtesy of Sandra Woods.